The lights dim as the audience roars, you have just entered the ultimate robot showdown! 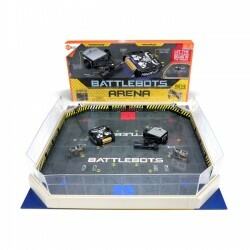 Modeled after television’s favorite metallic war-zone comes HEXBUG BattleBots Arena (Minotaur and Tombstone).Watch action-packed matches u.. The lights dim as the audience roars, you have just entered the ultimate robot showdown! 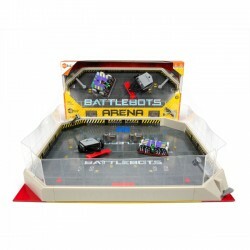 Modeled after television’s favorite metallic war-zone comes HEXBUG® BattleBots® Arena™.Watch action-packed matches unfold inside this aren..
It’s robot fighting time! 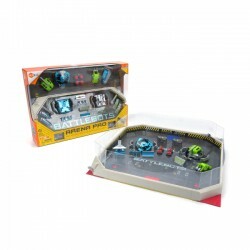 Modeled after television’s hit series BattleBots, comes the HEXBUG BattleBots Arena Pro.Suit up-your BattleBot for an action-packed match inside this arena! With over 100 possible configurations, Batt.. 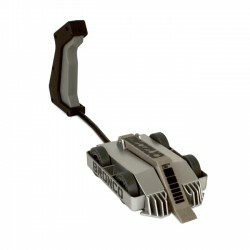 Playing off of the maker-movement trend, and everyone’s love of the hit television series BattleBots, comes HEXBUG BattleBots Build Your Own Bot.Featuring a unique play pattern, fans can experience the excitement that comes wit..
Tooth and Nail Termination. Trigger activated robots. Chomp down on the competition. Bite force rears it's teeth in the BattleBox, with its shocking scoop-and-flip capabilities!Claw and slash your way to victory in the ultimate.. Try to withstand the wildest of the west. Consider the enemy branded. Trigger activated robots. Face an untamed fury of Bronco. 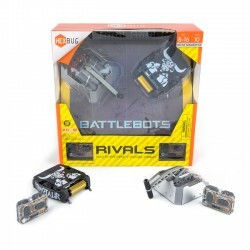 With its barbaric bucking action, this BattleBot leaves robots in shambles.Claw and slash your way .. It's Robot Fighting Time! Now it’s your turn to take control of the BattleBot’s Season 1 Champion Bite Force! Choose your opponent and enter the ring. 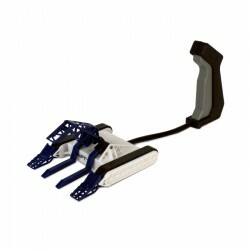 Dominate all challengers with Bite Force’s signature bite and flip.Sparks fl.. It's Robot Fighting Time! 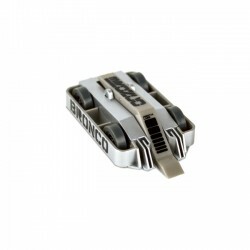 Bronco is a lethal miniature bot that allows for push-to-activate weapon with bucking action.Sparks flood the arena with every impact shot, as you duke it out against your robotic rival. Inspired by t.. It's Robot Fighting Time! 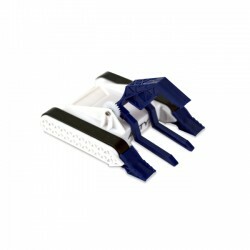 Tombstone is a lethal miniature bot that allows for push-to-activate weapon with Tombstone’s grave-making spinning blade.Sparks flood the arena with every impact shot, as you duke it out against your r.. It's Robot Fighting Time! Witch Doctor is a lethal miniature bot that allows for push-to-activate weapon with a battering ram armor.Sparks flood the arena with every impact shot, as you duke it out against your robotic rival. I.. This BattleBot can be summed up in one word, "deadly"! Steer clear of Tombstone, the grave maker and this years 2016 television series BattleBots Champion!Prepare to hold heated rage-ridden bot battles at home. Inspired by tele.. Prepare to be spellbound! Wielding a sabotaging scoop front wedge and spinning vertical disc, this BattleBot creates a magic we call "chaos" for any opponent who dares to cross it's path!Conjure and Conquer! Destroy by knockin..
Fight your way to the brink of destruction with vicious head-to-head combat! 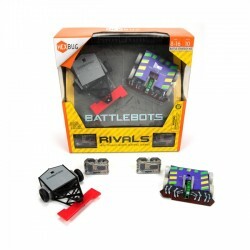 Inspired by television’s most entertaining robot showdown comes miniaturized versions of the merciless machines you know and love, HEXBUG BattleBots® ..
Fight your way to the brink of destruction with vicious head-to-head combat! 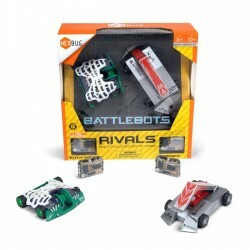 Inspired by television’s most entertaining robot showdown comes miniaturized versions of the merciless machines you know and love, HEXBUG® BattleBots®..